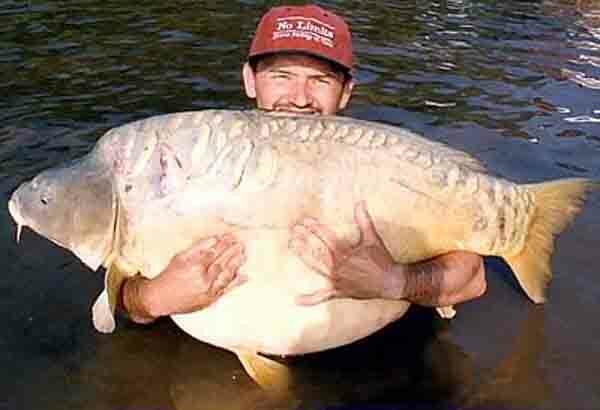 A new world record carp has been caught on a French public water a couple of months ago. With the capture of this 38,2 kg mirror, the almost 30 year old French carp record of Marcel Rouvière is finally broken. The mirror carp was caught by fisherman Laurent Panelli, and is claimed to be the biggest carp catch ever on a public water. Several international carp magazines are bringing the news this month, including Dutch Spiegel Magazine and French Media Carpe. As soon as there are more details available about this huge French mirror, we will update this article. With the capture of the 38,2 kg carp, the almost thirty year old French record has finally fallen. 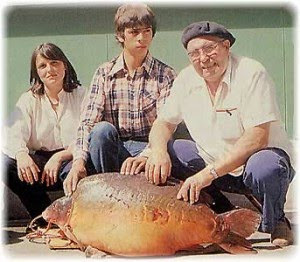 Back in 1981 Frenchman Marcel Rouvière (see picture above) caught a 37 kg (81lb 3oz) mirror carp on the river Yonne, which was a shocking weight for those days, breaking the previous record of 25 kg with 12 kg. It took 20 years before Rouvière's record was broken by the 1998 world record carp of Christian Baldemair, caught at Raduta Lake in Romania (picture below). Earlier this year another huge carp was taken on a French Public water, weighing 36,5 kg, and almost breaking the decadelong record of Rouvière. 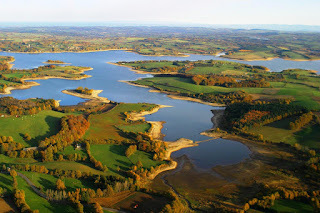 Wow, nice story, I've checked it out and the fish seems te be caught near Lyon a couple of months ago. A lot of Frenchies know this place but kept it silent. Now probable everyone was to give it a shot. The fish is nicknamed Neptune by the way.